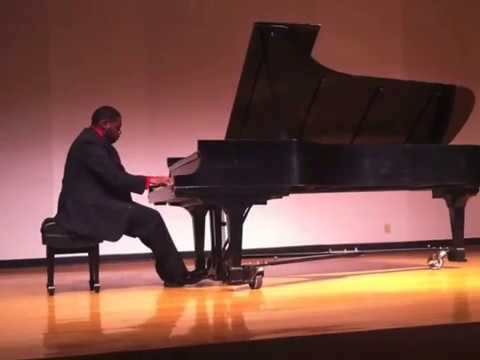 Pianist, Gregory Monroe II, began playing the piano at age four in Japan and, with years of international private study, has gone on to become an accomplished musician and highly-skilled performer in several arenas (Classical Pianist, Composer, Accompanist, Vocalist, Percussionist and Music Director). Gregory attained his Bachelor’s degree in Music Performance from the University of Central Florida. Currently, he is accompanying vocal and instrumental soloists as well as choral and instrumental ensembles for recitals, performance assessments, church services and recordings at home in Central Florida. 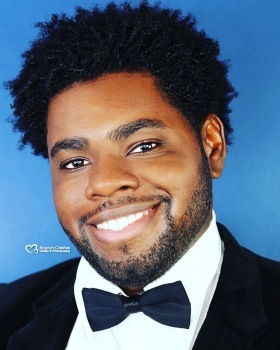 Gregory also plays for and directs musical theater shows and cabarets in venues including the Dr. Phillips Center for the Performing Arts. In addition, he entertains for weddings across the United States. Erick Branch composition. 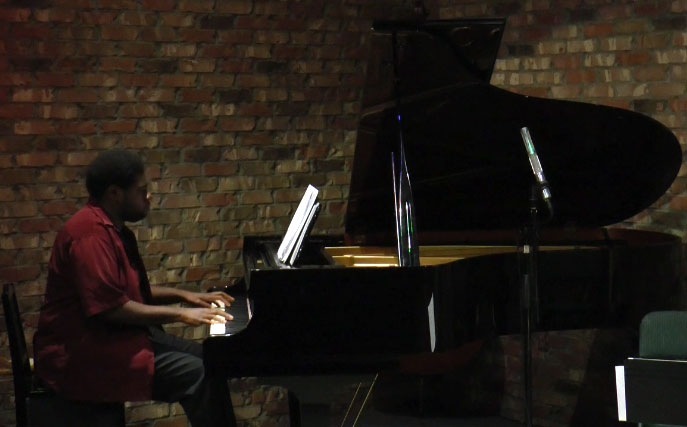 This was part of the Inaugural Recital of Erick Branch "Works with Sounds", a Timucua Arts Foundation program. Daniel Saylor interpretation. Performed for the CF2 Salon 2015 concert at the White House. Eventualities is a piano piece based on Ornette Coleman, performed by Gregory Monroe, and Character No.1 is inspired by Berio's Sequenza's, and performed by Kelli Boquet.